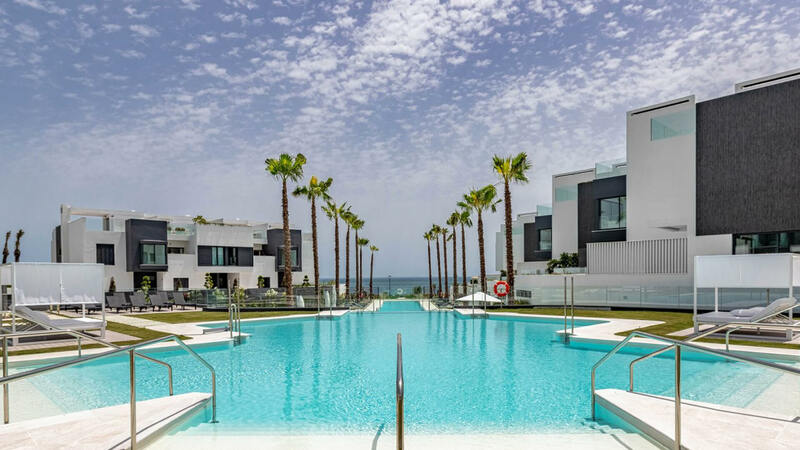 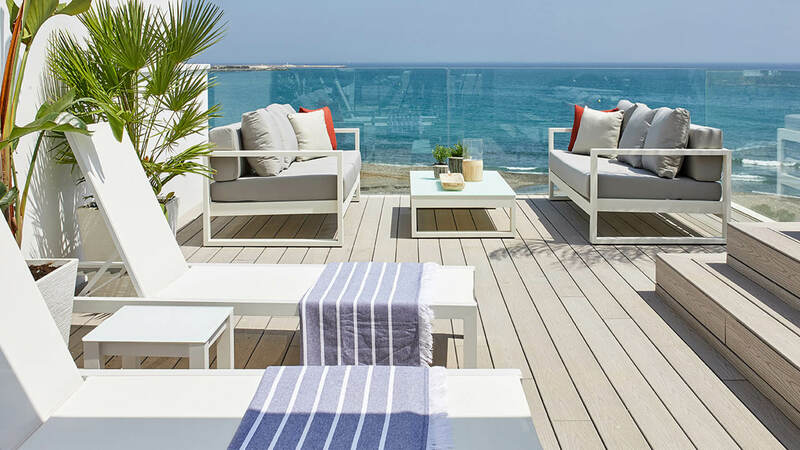 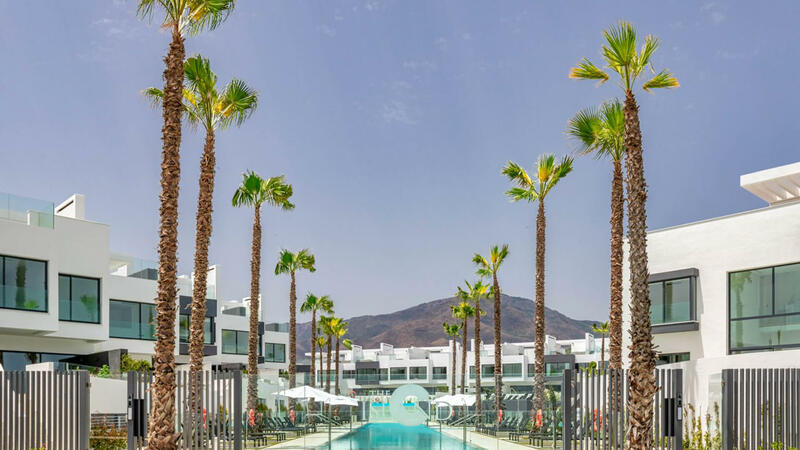 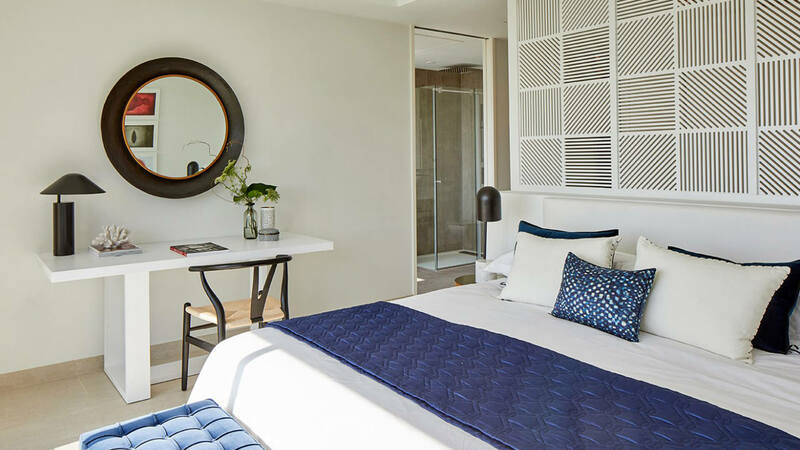 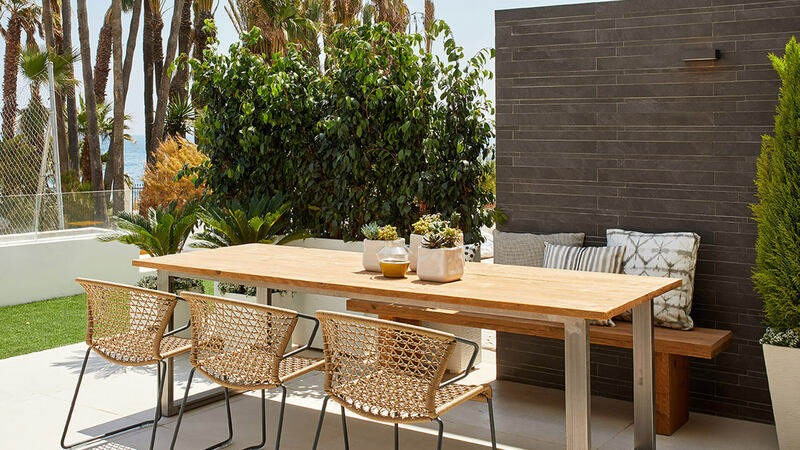 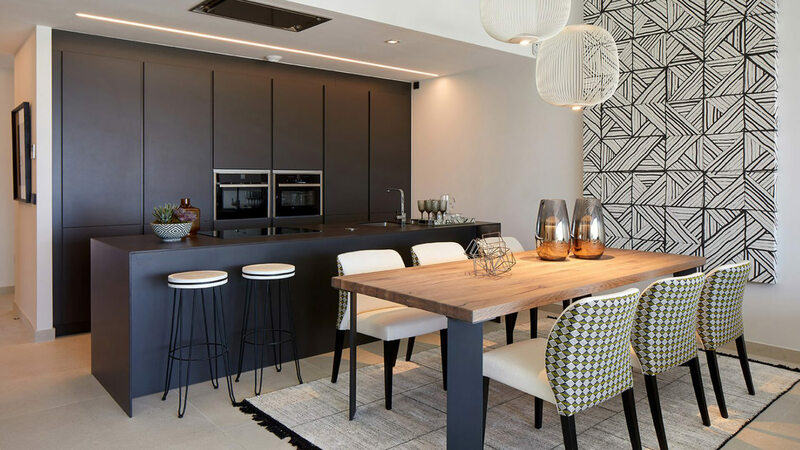 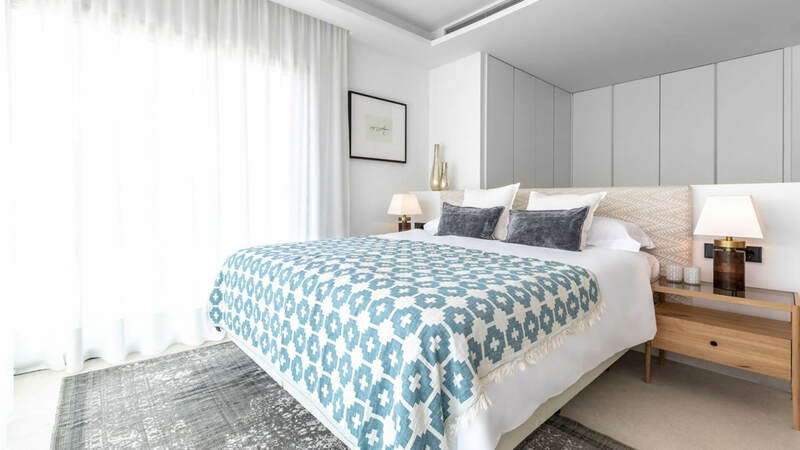 Frontline Estepona features 50 state-of-the-art townhouses with 2, 3, 4 or 5 bedrooms, ranging in size from 319m² to 449m², all with a roof terrace and private swimming pool. 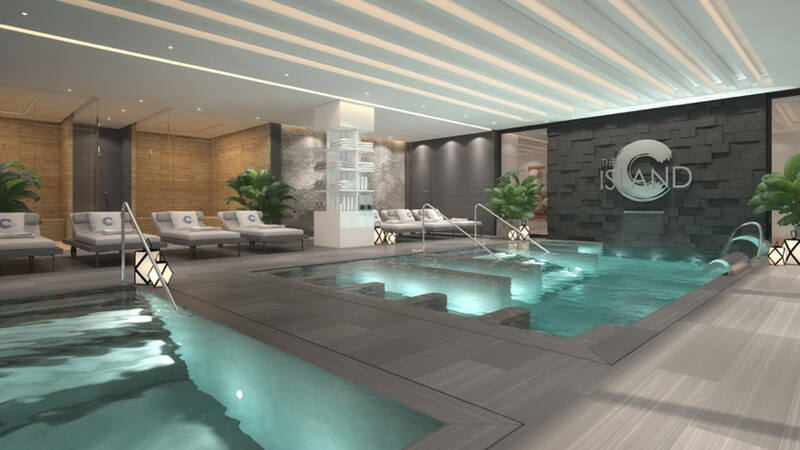 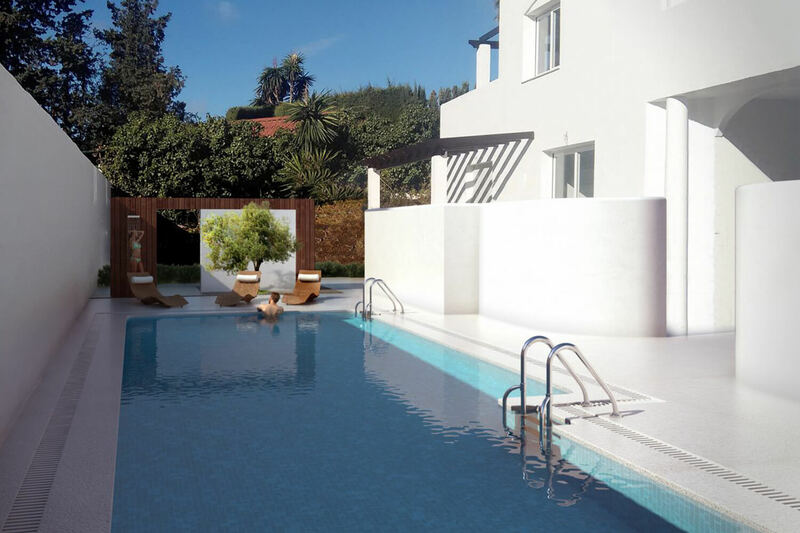 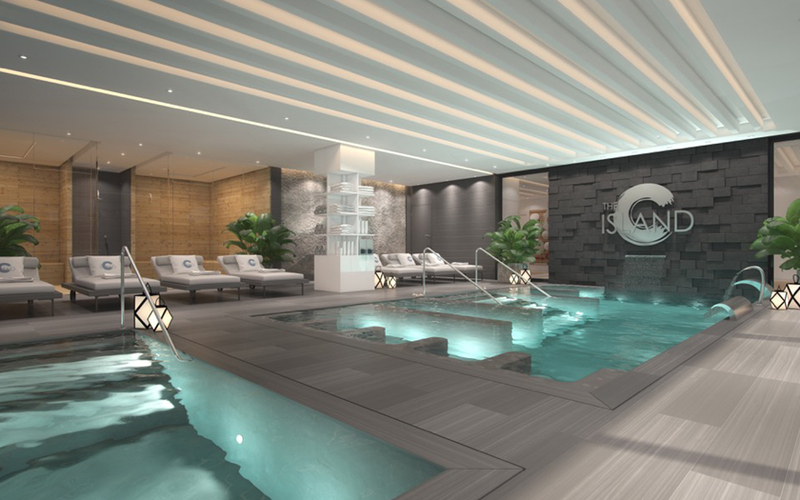 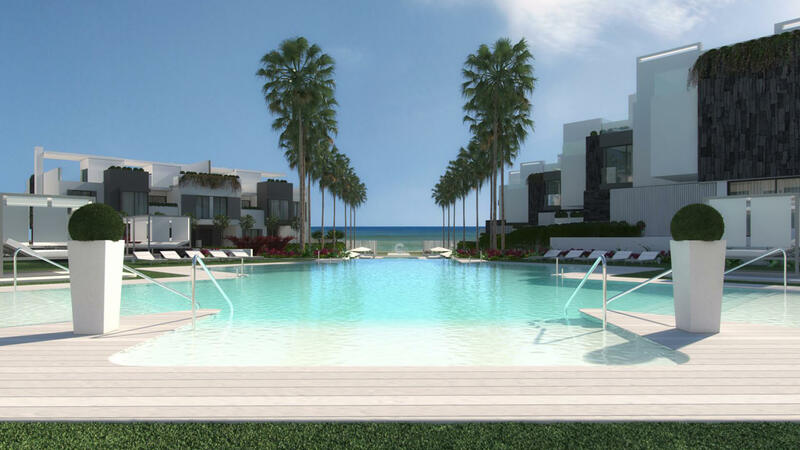 The properties offer absolute privacy, sea views, indoor and outdoor pools, a gym, spa and much more. 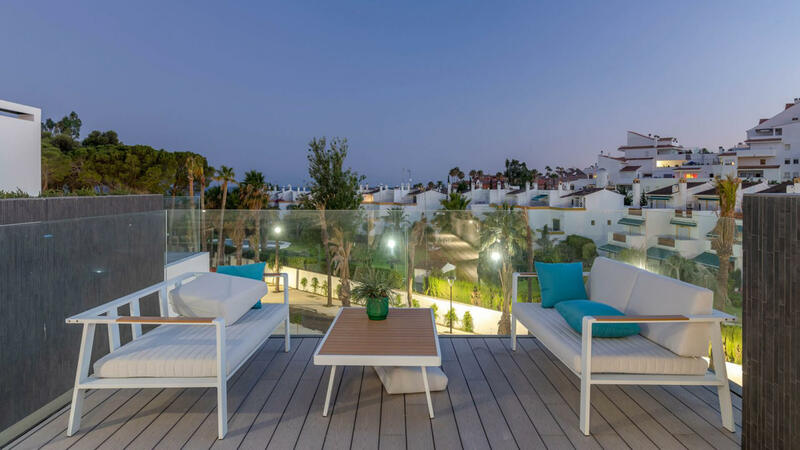 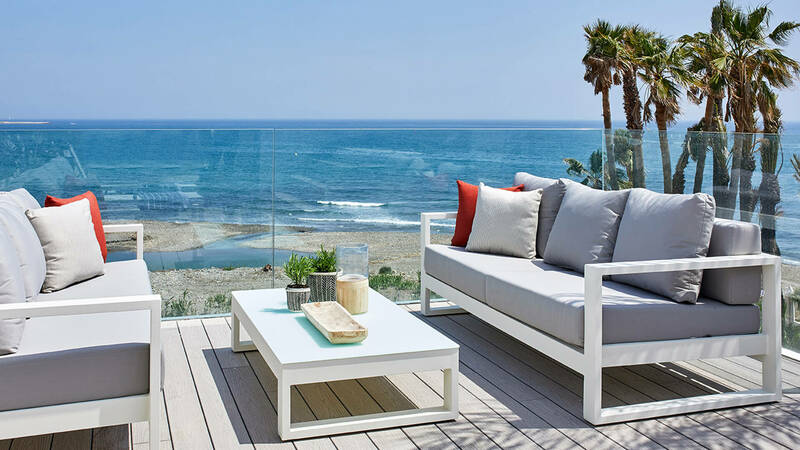 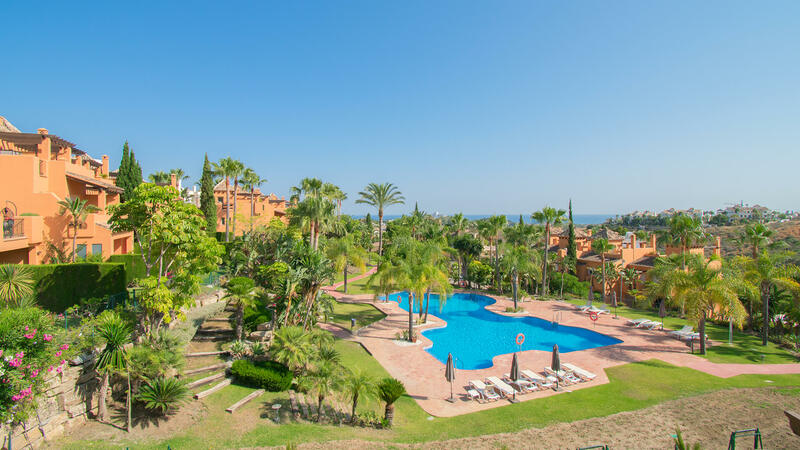 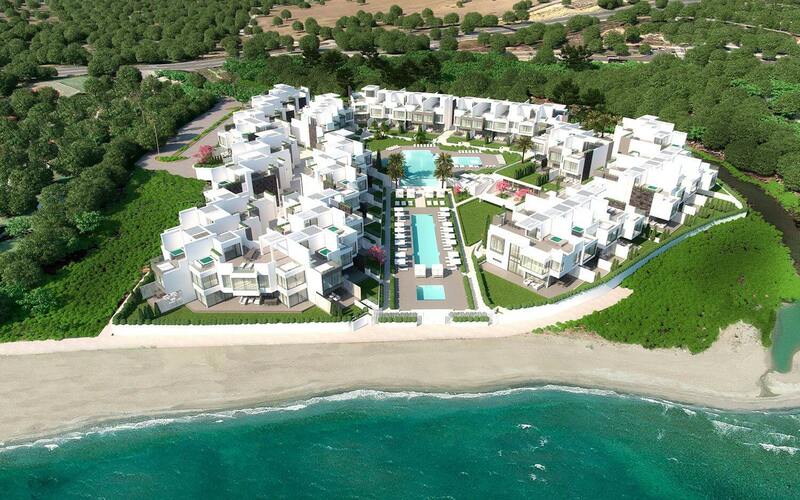 Frontline Estepona is an innovative project located in a peaceful frontline-beach setting on the outskirts of Estepona. 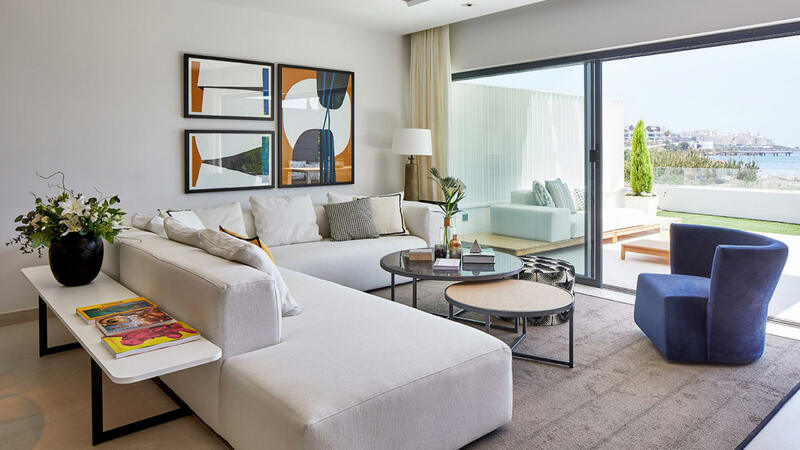 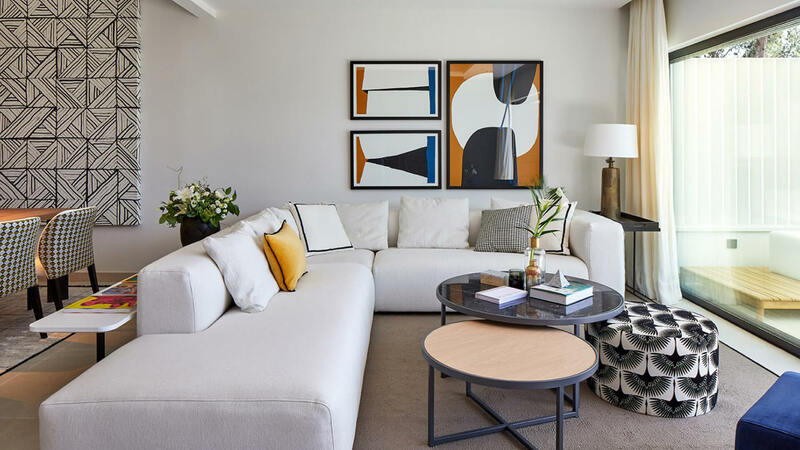 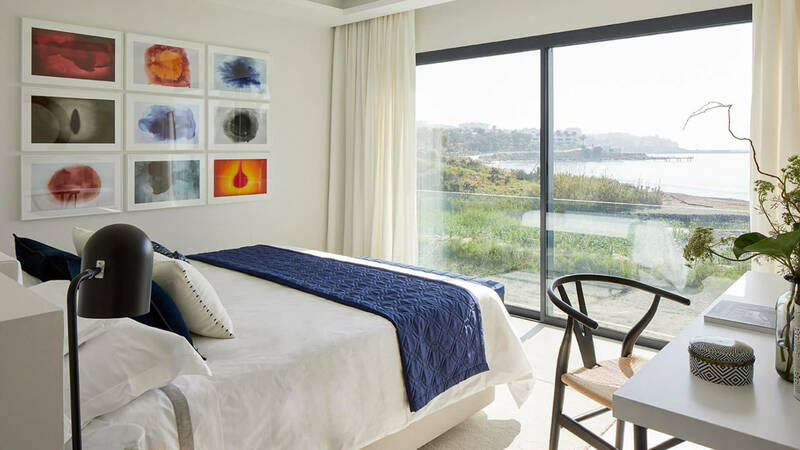 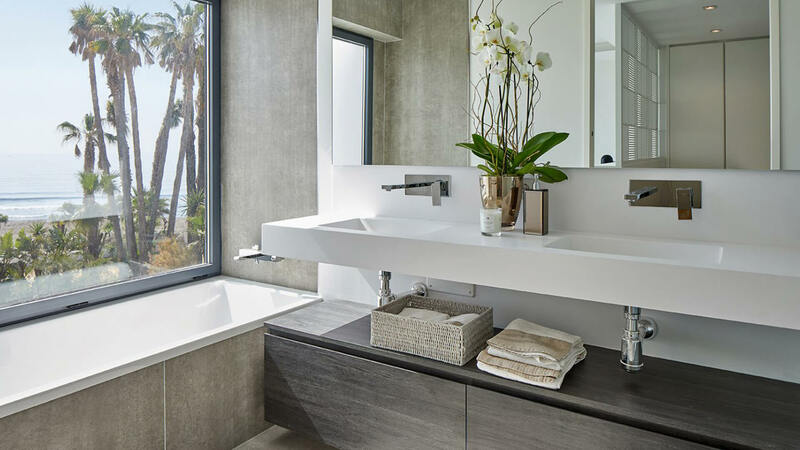 Making the most of natural light has been a focus of the design of these properties, with substantial windows with minimum profiles (a mere two-centimetre aluminium frame) with more shafts of light streaming through the staircase coffering. 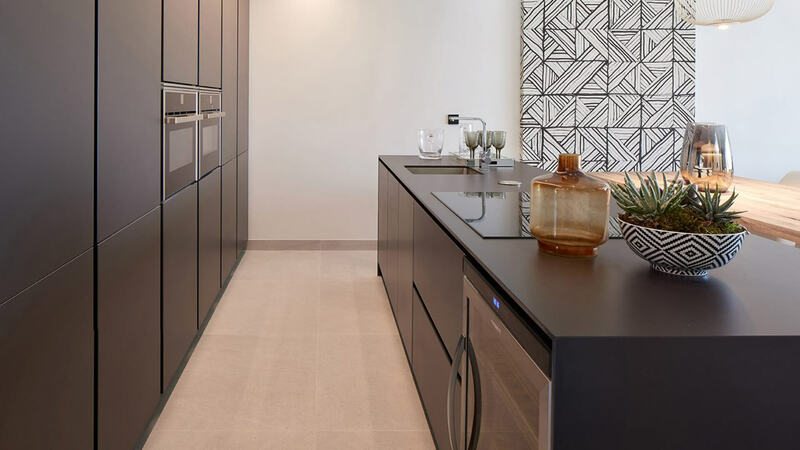 The kitchens are fully-equipped with the latest home appliances. 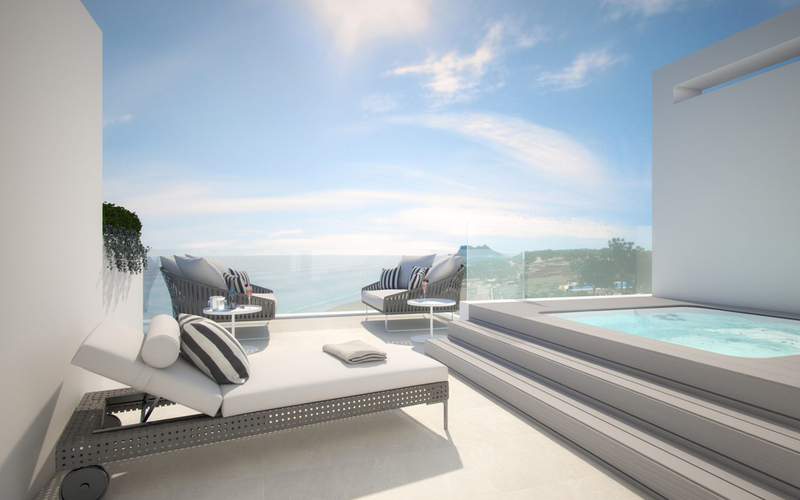 Each property also has a jacuzzi on the private roof-terrace which also features a barbeque area. 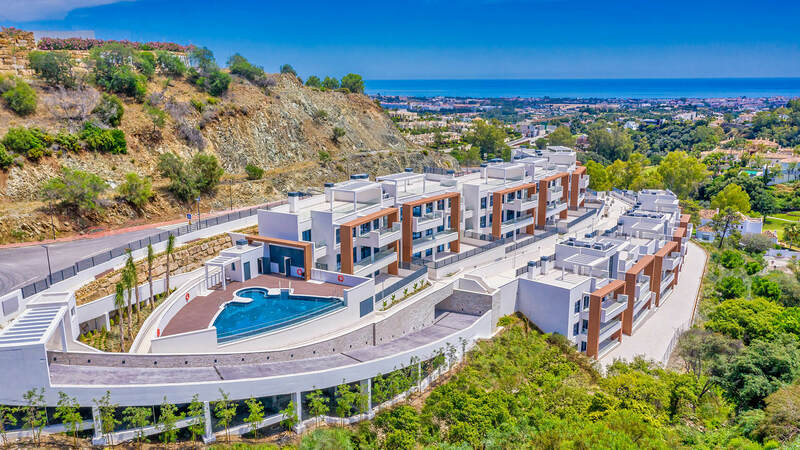 There is also an underground garage with direct access to the house through an ample laundry and service area, while there is also communal parking for guests. 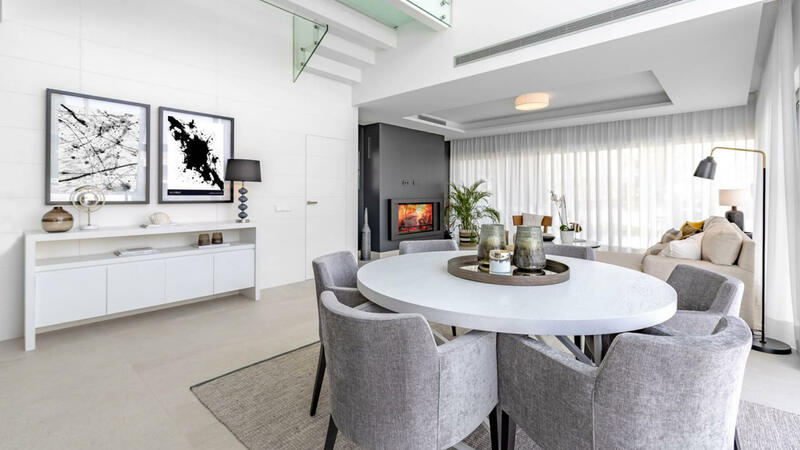 Climate control is provided through a fireplace, under-floor heating, and hot-cold air-conditioning. 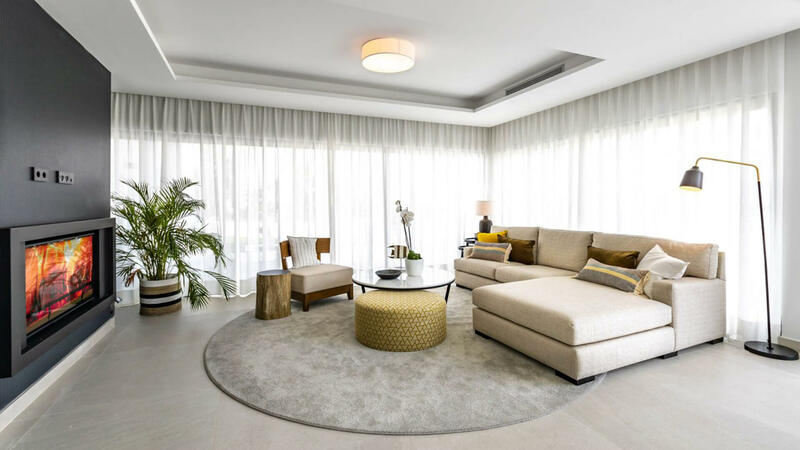 The latest domotic home automation systems are also pre-installed in the townhouses. 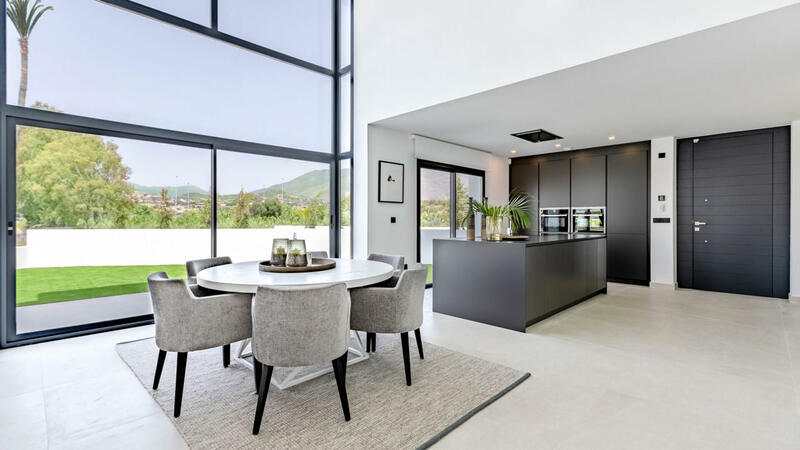 Other key details include thick, high doors, suspended toilets, automatic door entry to each garage, security doors, privacy and security blinds on rear windows and double glazing.